Congrats on your acceptance to our crowdfunding program! To finalize your enrollment in the program, you'll need to create an account on our course website and accept both the Crowdfunding Program Agreement and the Prolific Works Terms and Conditions. This article will explain how to create your new account and access the Crowdfunding Course website. Open this email and accept the invitation link. You will be led to a new page. At the top of the page, click through the links to read the agreements. Below the agreements, you will find a section called “Activate your account. a. Fill in the information for each space. Make sure your passwords match! Make sure your passwords match! Note: write down your user ID and password so you don’t forget them for log in! 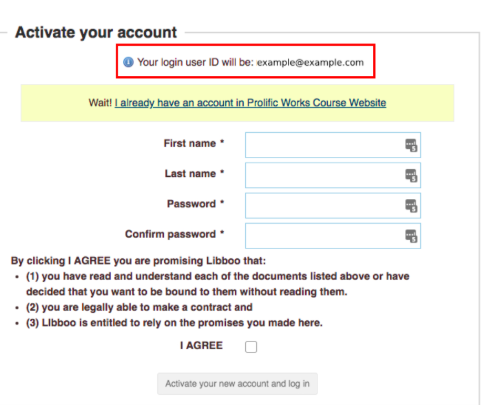 You must check off the “I AGREE” checkbox before you are able to create your account. When everything is ready, click “Activate your new account and log in”. Welcome to the Course Website! We are excited to start working with you! 2. 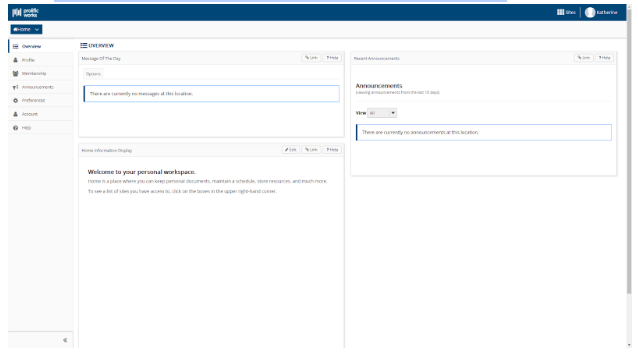 At the top left of the screen (in the blue banner) You will see your name and beside that, “Sites”. 3. Click on Sites and under Projects, you will find “Spring 2019 Course”. 4. Click on the star beside “Spring 2019 Course” to favorite the Crowdfunding Program. The star will become gold. 5. Click on the star beside “Spring 2019 Course” to favorite the Crowdfunding Program. The star will become gold. a. Note: To make sure you are on the right page, the “Spring 2019 Course” tab should be blue. 6. You will click on this when you need to do anything related to the program. 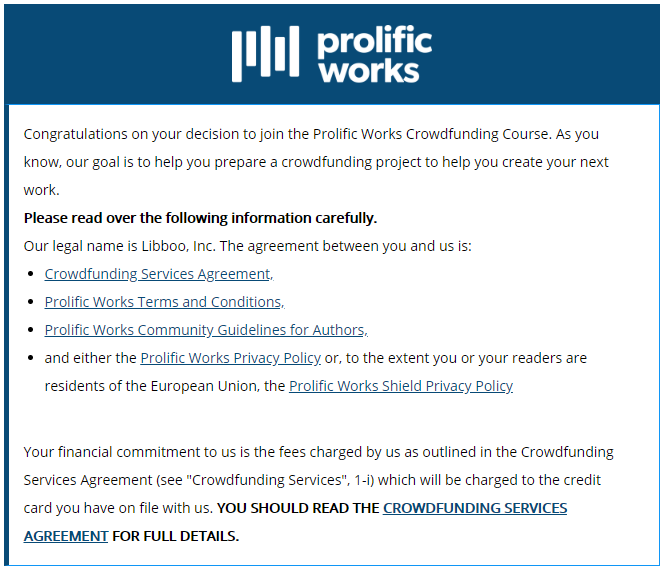 Please email crowdfunding@prolificworks.com if you have any questions.